I’m starting to see why the California labor and employment scene could give anyone a few more gray hairs. It certainly keeps us all on our toes, but we’re in this together! KPA aims to make compliance easier on you! This past week, 5 major pieces of legislation became laws with implementation dates of January 1, 2018. All are expected to have significant impacts on California employers. This legislation’s nickname refers to a box applicants check on an employment application if they have a criminal record. In general, most employers who learn that an applicant has a criminal record tend not to hire him/her. However, hiring ex-offenders helps them reintegrate into society and stay out of jail. Research suggests that the ex-offenders whom employers do hire appear to perform as well as non-offenders. California and various cities in California have had ban the box laws in place for awhile. This latest legislation expands that coverage and applies to all employers with 5 or more employees. Employers associated with federal, state, or local agencies that are required by other laws to conduct criminal background checks for certain positions, such as law enforcement positions and farm labor contractors, are exempt from California’s Ban the Box. Prohibits employers from inquiring into applicants’ conviction history until AFTER a conditional offer of employment has been made. Requires employers to conduct an individualized assessment demonstrating that applicants’ conviction history has a direct and adverse relationship with the specific duties of the job. Requires employers to provide notice to applicants, including a copy of any conviction history reports, and give applicants 5 business days to dispute the reports’ accuracy. Requires employers to notify applicants about the final hiring decision, among other disclosures. Review your hiring practices as soon as possible to ensure that they comply with this law. In addition, you’ll need to update your company’s job application. KPA will update all California clients’ online applications by the end of December 2017 to ensure compliance. You’ll also need to train current employees who are normally involved in the hiring process on what they can and cannot do under the new law. California employers with 20 or more employees will need to allow eligible employees to take 12 weeks of unpaid, job-protected leave to eligible mothers and fathers within 1 year of a child’s birth, adoption, or foster care placement. The 12 weeks of baby bonding leave are in addition to the time off new mothers may take when they are considered disabled because of their pregnancy. Review your leave policies and communicate the expanded leave option to all your employees. Asking job applicants for their salary history and relying on their current or past salaries to set their pay rates contributes to the gender wage gap among other issues. For example, women in San Francisco earn $0.84 cents for every dollar men are paid, and women of color earn even less. This law takes things one step further than the California Equal Pay Act in which employers must justify pay discrepancies between gender, race, or ethnicity for substantially similar positions. Effective January 1, 2018, ALL California employers will be prohibited from asking job applicants about their income at previous places of employment. In other words, any employer of any size and in any industry, cannot use salary history alone as their hiring criteria. If applicants ask, employers must also provide the pay scale for a position. 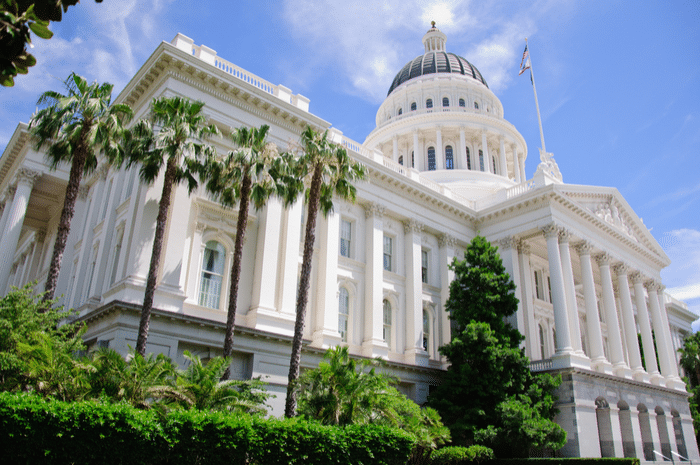 California legislators have not yet defined what the pay scale will need to cover. If applicants or interviewees “voluntarily and without prompting” disclose their salary history, employers can only then consider that information in determining applicants’ starting salaries. As with California’s Ban the Box, take the time over the next couple of months to review your hiring practices and ensure that they comply with this law. In addition, you’ll need to update your company’s job application. KPA will update all California clients’ online applications by the end of December 2017 to ensure compliance. With a few exceptions, this law prohibits employers from allowing immigration agents to access non-public areas of the workplace without a warrant. Employee records and confidential employee information can’t be accessed without a subpoena or court order. Give employees at least 72 hours advance notice of an immigration agency being on site to inspect I-9 forms or other records. Provide a copy of the inspection notice and any results to affected employees and their authorized representatives. Do not reverify the information on employment verification forms unless specifically compelled to do so to comply with federal laws. Do not threaten to call immigration authorities when workers attempt to exercise their rights to minimum wages, meal breaks, or organizing activities that are protected by California law regardless of their immigration status. As part of the mandated biennial harassment training already required for supervisors under the California Fair Employment and Housing Act (FEHA), all employers with 50+ employees must also cover harassment based on gender identity, gender expression, and sexual orientation. Adjust your company’s training materials to comply with the new amendment. Continue conducting at least 2 hours of prescribed sexual harassment training and education for all supervisory employees within 6 months of their assumption of a supervisory position and then once every 2 years.